​Welcome to the official website of USAPL for the state of Connecticut! 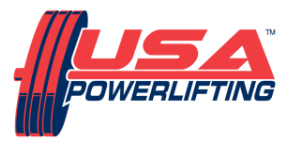 The mission of USAPL CT is to provide an opportunity for all athletes who meet the criteria for membership in the USAPL to compete in uniformly high quality and drug tested powerlifting meets. 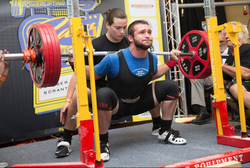 The USAPL is an affiliate for the International Powerlifting Federation (IPF) which provides international drug tested competition annually at world championship and other international competition events. Upon receiving the Chief Referees signal, the lifter must bend the knees and lower the body until the top surface of the legs at the hip joint are lower than the top of the knees. Upon receiving the Chief Referees signal, the lifter must lower the bar to the chest. Once motionless, the lifter will receive the Chief Referees press command, at which point they may press the bar. They will then receive the rack command at which time they may place the bar back. The lifter raises the bar from the floor from either the conventional or sumo position. The bar must be in continuous motion until the movement is complete and hips and knees are locked. The lifter will receive the down command from the Chief Referee. Enter your information below if you would like to subscribe to our monthly email newsletter.